Make yourself at home and share some special moments! Ranya's smile, Laure's hospitality and Michel's fantastic tips await for a personalized stay near the airport before your flight or meeting. Welcome! A comfortable stay just a few minutes from Roissy CDG Airport and Villepinte exhibition center. 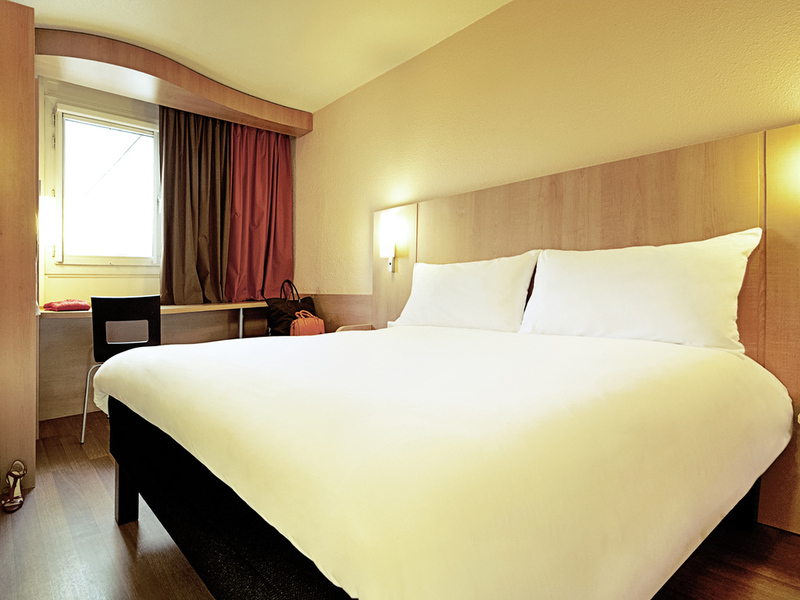 Come and enjoy our new Sweet Bed by ibis bedding in one of our non-smoking rooms with free WIFI. Ideal for business trips or as a starting point for your vacation with friends or family, the ibis Roissy CDG Paris Nord 2 hotel offers secure parking and an on-the-go breakfast served from 4am. A bar and 24-hour snack service are also available. The hotel is located near Villepinte exhibition center, the Paris Nord 2 business park and Roissy CDG Airport. A free Blue Line bus runs between the hotel and the airport from 5am to 12:30am daily. Villepinte exhibition center is within easy reach by bus or private shuttle. Fancy a spot of shopping? A free shuttle service will take you to discover the many shops and activities at Aéroville shopping center! Located 9.3 miles from Disneyland, 9.3 miles from Parc Astérix, 6.2 miles from Stade de France stadium. Featuring the new Sweet Bed by ibis bedding, the ibis room has everything you need to enjoy your stay. It is welcoming, modern and comfortable and has a cozy bed and functional bathroom. The check in process was quick and simple. The room was subpar: the air conditioning unit did not function and we woke up in sweats both nights. Additionally, the shower faucet would not stay at the set angle and continuously fell while one was trying to use it. Given the price of the hotel, I would have expected breakfast to be included. I would not necessarily book this hotel again given this experience. Smelly, old, dirty and way too expensive hotel. the room as well as the whole hotel smelled like old stuff. Opening the window in room 617 made it obvious that you have a molt problem. The typical molt smell was immense. Also the water pressure, can not be called pressure. It's more just a litte push. The room was simple but bood it has all the necessary things and overall we were happy with it. The breakfast was really good and the personal at reception helped with everything I needed. Perfect for our needs before the flight home. We had everything we needed. Helpful front desk staff. Loved having our dog with us. All was well. Restaurant in house and grill 70 meters away, shopping centre 500 meters away- free shuttle bus “Blue Line” to and from CDG terminal 2. Always having a pleasant stay. As a frequent guest, I know the hotel well and appreciate that everything works and is in place. Staff is helpful and reactive. Good place to stay other than less than ideal location. Stay at the hotel was good, we were able to take the shuttle back to the airport and had a good restful night. The room was clean and snug which we have come to expect from Ibis. The only downside to this hotel is the location, I was under the impression that I had booked a stay at terminal 2 within the confines of the airport. This location is not nearly as convenient as the other one. Bathroom, the water was not flowing very well, TV not working and without remote. No socket near bed to charge a phone. Convenient and comfortable for a one night stay. Accommodating staff, shuttle bus to airport was convenient.